Mech Rally is designed specifically for fans of sci-fi and mechs. 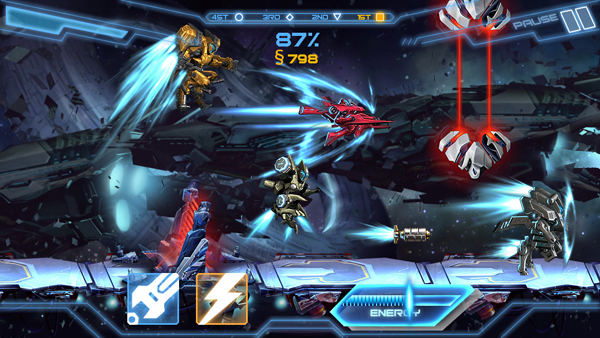 Suit up with a selection of the coolest mechs ever made and race against opponents among the stars. Sprint through fantasy environments, updating your mechs and using props wisely to beat your opponents in the entire universe. 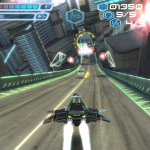 Mech Rally is set to launch in the App Store this fall - we'll let you know once the sci-fi racer becomes available. As of this moment, no information concerning pricing or iDevice compatibility has been announced. For more of our recent app news, see: Magic 2014 To Gain New Decks In First Expansion Update Coming Later This Month, Today's Best Apps: Alphabets 2 Words And LinesLines, and Codename Cygnus Offers iDevice Owners A Unique Interactive Radio Drama. How Far Can You Drive On This Collapsing, Endless Road?